12 of His Original Piano Solos. Composed by Tom Gerou. Piano Collection; Piano Supplemental. Recital. Book. 24 pages. Alfred Music #00-47357. Published by Alfred Music (AP.47357). 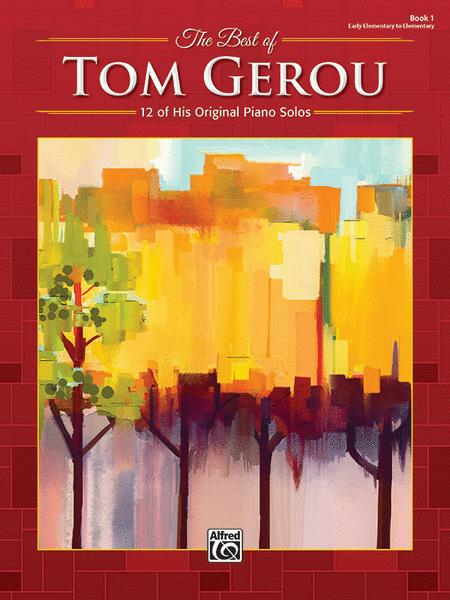 The Best of Tom Gerou, Book 1, is a collection of 12 early elementary to elementary solos for students, each with an optional teacher/parent duet part. The piano works in this series were selected from a variety of collections and sheets and were compiled into graded collections. 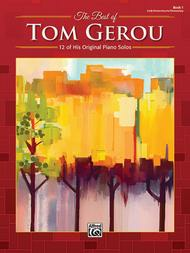 The pieces include Tom's favorites, contest selections, and established student-pleasers throughout the years. Performers will find a well-balanced assortment of solos reflecting different moods, sounds, styles, and musical challenges. Titles: Call It the Blues * Dalmatians! * Fantastic Tales * Halloween Costumes * Inch-by-Inch * My Best Friend * No School Today * The Rich Hound Dog * Please Stay, Chihuahua * Rainbows for You * Whiskers and Fins * Without My Games.